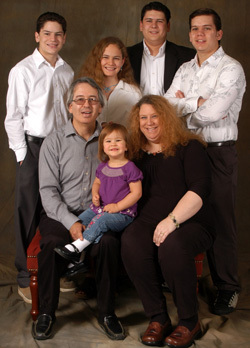 The Suarez family: Paul and Gena in the foreground with Susanna; behind (L to R) Levi, Julia, Luke and Paul Jr.
Paul and Gena Suarez have been passionate home schoolers of their five children (ages 2 through 19). While raising their family, they have built one of the largest homeschooling magazines in America, and indeed, the world. Since the launching of our CMI–US office, the Suarezes have also been passionate about helping CMI’s creation message penetrate the US church so that Christians can be better equipped for evangelism. To this end they have been immensely helpful in promoting CMI’s resources, and in particular Creation magazine. What would motivate a very normal mom and dad to such an undertaking? Especially when, as most parents know, raising children is a full-time job in itself? They explained that the creation/evolution issue was so vital, they wanted to help other parents immunize their children from the constant evolutionist barrage in public education and the media. Paul was raised in a strong religious environment but believed in evolution. Although he attended a mainstream liberal church every week, he readily admits that he and his friends were into lots of ungodly behavior. They wanted to help other parents immunize their children from the constant evolutionist barrage. 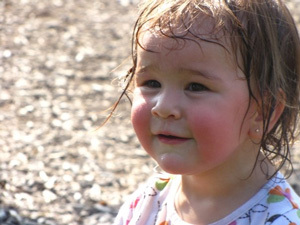 [There is an] increased awareness by parents of the need to actively manage the flow of information to their children. Paul was fortunate to have been exposed to the creation message. At CMI we often point out that anyone educated in a public school system is taught evolution as a fact—only one view of origins. Paul, like us, became convinced that everyone needed to hear the empowering creation message. Along with the desire to better equip his own family, it was a strong motivating factor when both he and Gena started to make solid Bible-based Christian resources available to other parents. Gena was raised in the church and received Christ as a child. She said she never had any doubts about Genesis. Even comic books about the Old Testament and creation she read as a 10-year-old merely reinforced what her church had been teaching her—that the Bible was trustworthy from the very beginning. This confirms the importance of exposing children to biblical/creation information from a young age (“Train a child … ”—Proverbs 22:6). When they were dating, Paul announced to Gena that he wanted them to homeschool any future children. Gena was initially not very excited about this proposition. But Paul knew other homeschooling families and was impressed by the way the children behaved, and moreover, how well they could defend their faith. He was now strongly opposed to the teaching of evolution because he realized that such a view of our origins completely undermines the foundational teachings of the Bible. Gena quickly came on board when she realized that their children’s peers would be the greatest influence on them. It dawned on them both that as parents their own Christian worldview might be rejected by their children if in a public school. They did not want to fight constant battles at home. The most important thing for them was for their children to be able to trust in the entirety of God’s Word. In the 1960s and ’70s there was a shortage of homeschooling resources. However, by the 1980s, homeschooling started to explode in the US and the phenomenon has since spread around the world. When the Suarezes started teaching their children in the 1990s, Gena was pleased to discover that teaching her children was not as difficult as she thought it might be. A lot of material was by then available, but with finances tight, they tried to source quality resources secondhand. They found there were plenty, with even more being discarded rather than resold. Wanting to help other parents and children, they started selling secondhand curriculum on eBay. They were ‘blown away’ at the demand from all over the world, and it became obvious that homeschoolers in general were equally concerned about public school indoctrination, and desperate for information for their children. People then started asking them questions—seeking help on how to train their children, so they started a simple email newsletter. eBay wasn’t happy about this so the Suarezes decided to set up shop on their own, with a black and white newsletter that soon grew to become a full-colour version. All this was being done part-time as Paul was employed elsewhere, but it indicates the passion they had to help others. 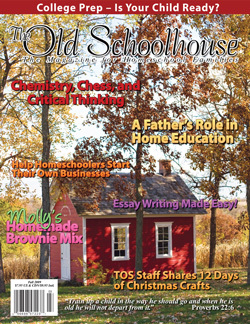 Eventually, this became The Old Schoolhouse Magazine, their flagship publication, which has one of the largest subscriber bases of any homeschool publication in the world. 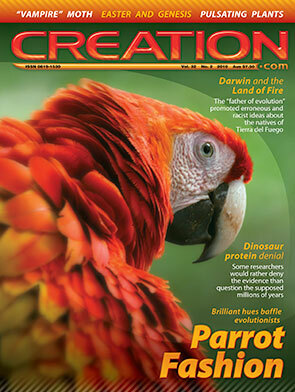 The magazine caters to parents, showing them how to educate and train their children in a biblical worldview. As the venture grew, they realized that there were many ‘mom and pop’ publishers able to produce curriculum and other materials in great demand by parents. So they realized their operation could also act as a conduit or nexus to help parents help one another. This is turn led to the formation of HomeschoolBlogger.com. This is a homeschool networking site where over 20,000 people regularly contribute and help each other, including professional teachers and non-homeschool families, too. The largest site of its type in the world, it also links to a staggering network of over 10,000-plus support groups across the world, including the UK, Canada, New Zealand, Australia, and South Africa. Even the secular market is awake to the dramatic increase in homeschooling, with major retailers now providing homeschool resources in their stores. To help all Christian parents, homeschooling or not, to teach their children correct biblical foundations and help counter evolutionary indoctrination, CMI started a homeschool section on our website creation.com. Much of the content has been provided by The Old Schoolhouse, for which we are very grateful. Knowing of the Suarezes’ passion for creation assured us that the information would be presented in the right biblical framework. At CMI, we realize that homeschooling might not be for everyone, and there may be reasons or circumstances that may not allow parents, even if they wanted, to homeschool their children. However, regardless of where one’s children are educated, we do encourage all parents to take responsibility for exposing their children to, and teaching them, basic Christian foundations. Crucially, this includes the evidences for the importance and the truth of the Genesis account. Otherwise, they will be ill-equipped to withstand the humanistic indoctrination that comes with the teaching of evolution, let alone be able to defend their faith. Sadly, in some countries, even many Christian schools are unable to teach creation due to government curriculum requirements imposed upon them. Also, most Christian schoolteachers have been trained in secular universities and therefore may not necessarily have been equipped to teach a fully integrated biblical worldview. We do feel that many of the excellent homeschool resources such as provided by CMI and The Old Schoolhouse help in this area to all Christian families. The huge success of The Old Schoolhouse is testament to not only the Suarezes’ willingness to help others, but also the increased awareness by parents of the need to actively manage the flow of information to their children. * The day-age theory is the fallacious view that the days in Genesis 1 could be undefined periods of time such as a million years each. This view, in addition to placing death and suffering before the Fall, is scripturally refuted by passages such as Exodus 20:11, which is actually part of the Ten Commandments. See creation.com/days. Return to text.